In the opening chapter of Create Dangerously: The Immigrant Artist At Work, Edwidge Danticat describes the 1964 execution of Marcel Muma and Luis Drouin and the complicated questions raised about history, freedom, and democracy versus dictatorship. I’ve been a fan of Danticat’s writing since my undergraduate days because of her honesty, imagery, and because of the constant pushes I get to research aspects of history in Haiti and across the diaspora. Immigration and the in-between-worlds identity that immigrants and their children have is a theme featured prominently in Danticat’s works. She grapples with questions of responsibility those who’ve immigrated from a country have to those who still remain there. Danticat’s focus on creating and reading dangerously grounds in the idea that those in the most oppressed conditions must take risks to engage with ideas which will remind them of their humanity through the liberation reading brings. Feeling inspired by dope Black women doing their thing got me thinking about the work that we do in the classroom as educators. How do we motivate Black kids to create dangerously, to speak their truths, make their art, and to share their passions with the world? So much of what students are required to do in school is rote memorization, low rigor work that is frankly boring AF. The implications of cutting art education for urban Black students and other youth of color are profound and in my opinion these are the schools that need this art the most. As Danticat describes, connecting with powerful art, reading, and writing for individuals in oppressive situations can save lives. In my own life, art is what saved me in high school from the toxicity of white supremacy and extreme wealth which characterized my private school. Not only were the hours I spent in the darkroom and ceramics studios extremely therapeutic and healing, but I was allowed to create art and develop skills which have served me in my entrepreneurial endeavors in my adult life. The benefit of fostering the artistry of Black youth is important from a socio-emotional and developmental standpoint AND the development of tangible art skills can help youth secure streams of income as well. At CREAD, one of our elements is CREAM – Cash rules everything around me. For us, this element is about fostering the entrepreneur within each student: helping students to not only boss up academically, but to also secure the bag in order to break cycles of poverty in Urban Black communities. Discussing CREAM in one of our Woke Cypha sessions, we read Gloria Ladson-Billings’ piece Stakes is High on educating 21st Century Students. This piece pushed me to think about the ways that our educational system fails to reflect the times we are in, as well as the new challenges youth face today in terms of the job market and the possibilities of entrepreneurship. We are in a different day and age – people can have their main job with side hustles, people’s side hustles can become their main job, and we live in an age where it’s possible to develop an entire career using instagram, twitter or any other social media platform. In closing, here are 3 things any educator can do to bring arts into the classroom. Allow students to draw or create visuals when learning vocabulary. This is a great skill to reinforce vocabulary and to foster language acquisition for all students, and especially with English Language Learners. When teaching students vocab, I often include a few extra boxes – one for the dictionary definition, one box for students to rewrite the vocab word in their own words, and lastly a box for students to draw a picture. 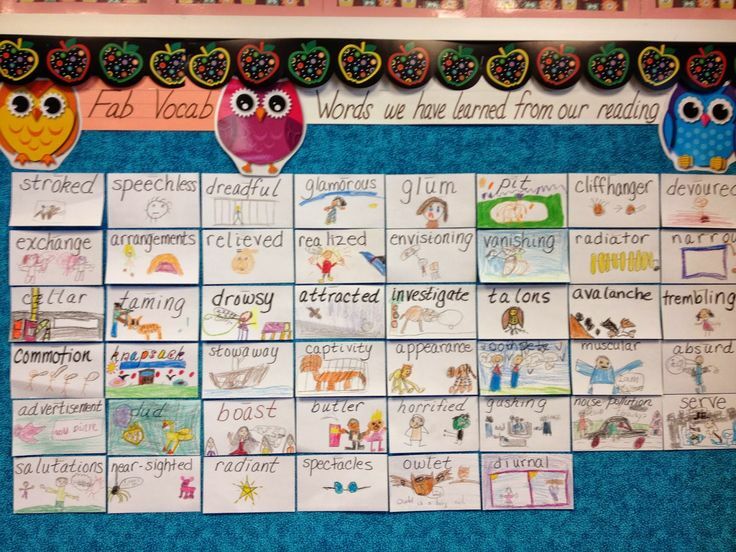 Teachers even use student drawings to create classroom vocabulary walls. Connect with your Arts teachers and Learn more about Arts Education in your city. The NYC DOE Office of Arts and Special Projects has lots of updates about art initiatives and events in NYC. I’ve found leveraging the resources and offerings already associated with the DOE can be great leverage for convincing a weary administrator about bringing more arts into the classroom. I’ve also witnessed some awesome collaborations between subject teachers and art teachers in terms of bringing projects to life. Look up Art CBOs and Non-profits near you! There are tons of places doing great work and I know from experience that often orgs that provide arts services with youth are looking for school partners to connect with. Here is a dope list of Teen and Youth Programs in NYC.